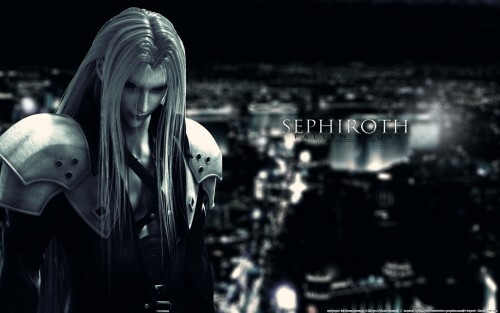 As for the Sephiroth image, I found it at Towai. I had to also change it's colours over and over again, making multiple layers for it to look like he's actually IN the scenery. el mas malo de la serie! I Love bleack and white bg..
god i love sephiroth!he is as brilliant as lucifer in his bright days! Sephy in black and white. That suits him the best. Feels so dark and deep. Thanks for doing this wallpaper. I like his theme music a lot, it is so awesome. Love the wall. yeah....a fallen angel has never looked so good. Thanks Men , SEPHIROT is awesome..